Fibonacci Betting System for Roulette | Winning Strategy? Fibonacci numbers first appeared in Indian mathematics. The sequence is said to have been noticed as early as 200 BC. However, the sequence became famed in a book called Liber Abaci by Leonardo of Pisa, who was known as Fibonacci. Fibonacci used the sequence to consider the mating habits of rabbits and the number of offspring they would produce. This number sequence doesn’t just apply to small mammals with oversized ears, however. It is actually applicable to many aspects of both nature and mathematics. 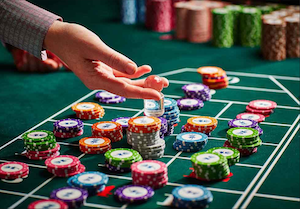 The Fibonacci sequence has also made the move into gambling, with a method devised that works best with even money bets, meaning that roulette is an ideal game for the system. What is the Fibonacci Betting System? 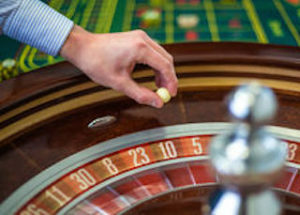 Is it the best strategy for winning in roulette? Here are the facts to help you decide. 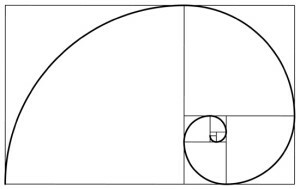 Here, I delve into all aspects of the Fibonacci system. Firstly I explain the sequence itself and then introduce the system you’ll put in place. I then look at both the advantages and disadvantages of the strategy, finishing with an overview of Fibonacci betting. I’ve listed the first 17 numbers of the sequence, but the list of numbers could go on forever. This is a negative progression system. What that means is that the stakes will become larger when you lose, and decrease in size after you win. For the sake of this system, you’ll actually ignore the zero that starts the list. You’ll then assign a betting unit –this could be $1, $5, $10 or any other amount. To keep things simple we’ll assume that your betting unit is $1 and the aim of the strategy is to actually win that amount. You’ll place an even money bet at the roulette wheel with your stake (be it red/black, odd/even or 1-18/19-36). Initial bet: If your initial bet wins, the system has achieved its aim, and you’ll walk away with the $1 profit. Losing bet: Every time a bet loses, you’ll bet the number of units that is next in the sequence. For example, your first bet will be $1, then the next will also be $1, then you’ll bet $2, then $3, $5 and so on. Winning bet: However, every time a bet wins, you’ll move back two numbers in the sequence. For example, after having placed a bet of $34, your next bet will be $13. You’ll carry on until you eventually achieve your aim of winning the initial stake amount. The Fibonacci method has an advantage in the fact that with a large enough bankroll you’ll have a good probability of achieving your aim. This is due to the fact that you’ll move along the line by just one every time you lose, but jump back by two every time you win. This means that if you were to win just one time in every three, you would maintain your position on the line.The fact is when playing even money roulette, you’ll win more than one time in three, making this system one that will usually win. I just mentioned that you’ll usually win in the advantages; however the word ‘usually’ is very important here. Consider a scenario when the ‘unusual’ happens and you have a bad run of losses? What happens when the line has reached 5 and then you have a run of four losses? Your next bet is $34 and you are already down by $54. This is quite a hole to be in, especially with the aim of winning just $1. It can get quickly worse from here, so bad in fact that you might not be able to afford the next bet, or that the casino won’t actually accept the size of the next bet. Now you’re in a hole that there is no escape from and you’ll have to accept a heavy loss. In many ways, the Fibonacci system is a safer strategy that the more famous Martingale system. Pro: The bets will become progressively bigger as you move along the sequence, but not quite as drastically as the doubling effect of the Martingale system. Con: The downside is that a winning bet will not necessarily leave you in profit like the Martingale strategy, merely moving you two numbers back along the line. Updated on October 13, 2017 by Best Roulette Team. Copyright © 2019 Best Roulette , All Rights Reserved.